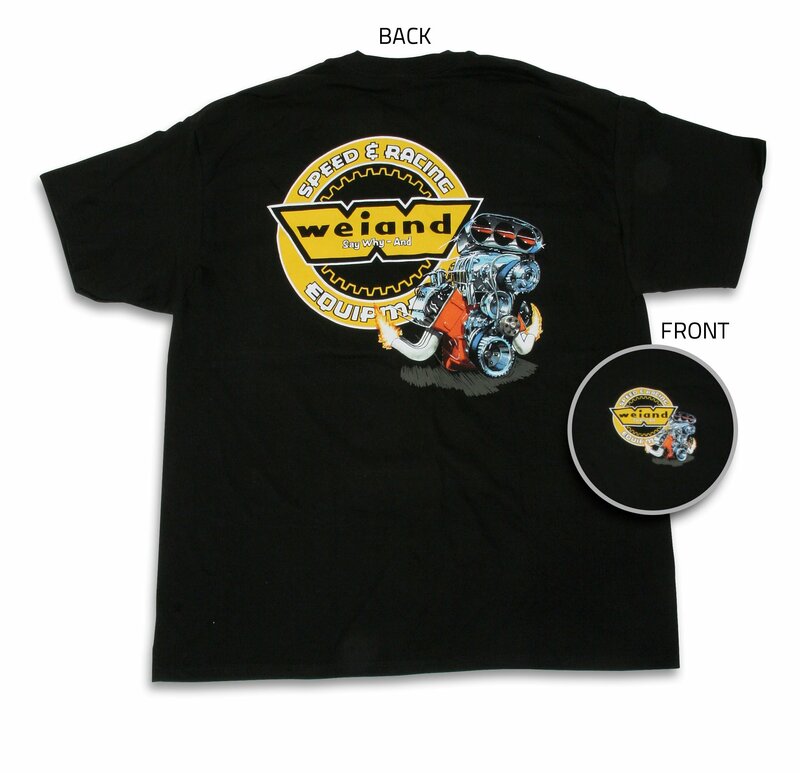 Black 100% cotton pre-shrunk Hanes Beefy Tee - The new Weiand retro engine t-shirt features the popular blown Hemi engine from the original Weiand retro t-shirt-only this time it's full size on the back! And, what hot rodder doesn't love a big Weiand blower and nostalgic Weiand logos that bring back the flavor of early hot rodding! This t-shirt will tell everyone that sees it that you like power! It's printed on a black Hanes Beef T for hot rodders destined to get greasy!